Austin residents have access to various grants and programs to help protect their environment, broaden their access to leisure and cultural activities, and improve their dwellings. Consult the Home Improvement tab, below, for information on programs to improve the energy efficiency of your home. Friday, 17 May 2019 1:30 to 4:30 p.m. If you did not attend one of our workshops on replanting the riparian zone, please contact Environmental Services. Our environmental specialist will go on-site to assess your shoreline and provide guidance on how best to restore it. Send your form and restoration plan to Environmental Services at latest on May 6. To encourage the population to compost its organic waste and save water, the Memphremagog MRC is offering a 50% rebate on the purchase of a home composter or rain barrel, up to a maximum of $30*. * Subject to fund availability. Only one barrel and one composter per address. To reduce the amount of waste sent to the landfill, the Municipality offers a 50% rebate on the cost of reusable diapers purchased for each child under 2 years old, up to a maximum of $200 per family. Bring a proof of residence, the birth certificate of your child and your receipt to the Municipal Office. A refund cheque will be mailed to you in the next 30 days. Since 2010, the Municipality of Austin’s Green Fund has provided financial assistance to a number of projects aimed at improving and protecting the environment. Any citizen, municipal committee, charitable or non-profit organization can file an application under this program to help fund an environmental project. For more information or to file an application, please contact Environmental Services. The Municipality of Austin offers financial help to citizens who must replace a deficient septic system, in the form of an advance of up to $10,000 reimbursable over 20 years. At the time of application, the septic system has been deemed to be non-functional following an inspection conducted by a professional (see the By-law respecting septic systems management, in French only). The planned septic system is compliant with the Regulation respecting waste water disposal systems for isolated dwellings (Q-2, r.22) and a permit has been delivered. The building for which the septic system is intended is a primary residence compliant with municipal planning by-laws and its value does not exceed $115,000. Commercial and industrial establishments are not eligible. The property owner has filed an application for entry in the program (in French) and the application has been approved before the start of the work. At the time the application is filed, the owner’s account with the Municipality must be in good standing (no taxes in arrears). The Government of Quebec also offers a tax credit for updating residential septic systems (see further down). For additional information, please contact the Planning Department. The following provincial programs provide financial assistance for home improvement projects. The Residential Adaptation Assistance Program enables people with a permanent disability to adapt their home so that they can carry out their everyday activities. Up to $16,000 per eligible person can be obtained in financial help. The Heating with Green Power Program (Chauffez vert) offers up to $1,275 in financial assistance to replace a fossil-fueled system with a system that uses electricity or other renewable sources of energy. Do you feel any drafts? Are your floors cold? Go the way of energy efficiency and renovate your home with the Rénoclimat program. Rénoclimat will guide you in your home renovation project. Benefit from an on-site evaluation from a Rénoclimat advisor at a reduced price. Receive personalized advice to improve the energy efficiency of your home. You can be eligible for financial assistance under the Rénoclimat program for certain types of home improvements. The RénoRégion program provides financial assistance to low or modest-income owner-occupants in rural areas for work to correct major defects in their home. Funding may cover up to 95% percent of the approved cost for the admissible work, to a maximum of $12,000. For more information, call the MRC of Memphremagog at 819 843‑9292. From 2017 to 2022, the Government of Quebec offers a tax credit for property owners of isolated dwellings to bring their septic system up to standards. Depending on the type of dwelling, up to $5,500 in tax credits can be applied for. For more information, please consult the Revenu Quebec website. 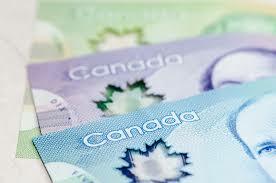 The Municipality refunds the cost of the annual membership (individual or family) to the Memphremagog Library. Submit the original (pink) receipt issued by the Memphremagog Library to the Municipality. A refund cheque will be issued within the next 30 days. The purpose of this grant is to offset a municipal tax increase brought about by a significant increase in the value of your residence. Visit the Service Québec website for additional information on this grant.